The tremendous poundages that are being lifted today by competitive weightlifters are far beyond the comprehension of most men and women who are not associated with strength sports. Even for many lifters, the awesome totals that are being established by elite or world class lifters are mind boggling. To say that some powerlifters are now capable of triple their bodyweight in the bench press and 11 or even 12 times their bodyweight in totals is downright frightening -- especially in light of the fact that as recent as two years ago, a double bodyweight bench press was considered super, and a total equaling 10 times bodyweight was considered nearly physically impossible. Today, even a mediocre lifter can push more iron than the world class lifters of 10 years ago. Month after month, world, national, and state records are being smashed with predictable regularity. Where will it all end? The fact that Mrs. Maxwell Rogers, a 114 pound housewife, lifted a 3200 pound automobile six inches off the ground in order to free her son who was trapped under the car may very well indicate that we are only in the embryonic stage of tapping the reservoir of strength that we possess. Although today's lifters are developing physical massiveness and power that is unparalleled in the history of man, they are also experiencing significantly more injuries -- many of which are of a serious nature. Crushed knee caps, ripped quadriceps, torn biceps, broken arms, dislocated shoulders and knees, as well as minor tears, sprains and strains are certainly more commonplace than before. For the competitive lifter, injury is not a remote possibility, rather it is a strong probability as lifters push themselves closer and closer to their physiological limits. Thus, coaches and lifters will have to face the problem of dealing with injury and the resulting pain. Most of us expect that when we are injured we will experience pain, and furthermore, we expect that the degree of pain will be directly proportional to the degree of injury. Laboratory research as well as clinical observation has clearly shown that this view is an oversimplification. The psychological state of the individual has a great deal to do with the experience of pain. Especially important is what the injury means for the individual in terms of future prospects. For example, clinical studies of soldiers have shown that the so called 'million dollar wound' (one that is serious enough to take one out of action for the duration of the war, but not serious enough to cause a permanent, severe handicap) can be viewed with euphoria and little pain. A lifter's expectations concerning pain are affected by many factors including cultural conditioning, one's self-concept, and the reaction of others to the injury. Such factors can produce hypochondriacs on the one hand, and stoics on the other. For instance, some lifters magnify their injuries so much that they lose valuable training time. They constantly complain and pamper their injuries -- even when they are relatively minor. These athletes are usually motivated by sympathy and the attention they receive from others. Generally speaking, these athletes seldom reach their lifting potentials. At the other extreme are athletes who are very stoic when it comes to their injuries. Rather than complain about their injuries, they tend to ignore them. For example, a few years ago we were working with Yoshi Takai (who was ranked as the number two gymnast in the world at the time), and during the National GFA Championships, Yoshi ripped the palm of his hand wide open while working on the high bar. Although his hand was seriously damaged, Yoshi went through his entire routine, dismounted, left the auditorium without any of the spectators knowing that he was injured. Once in the locker room, he took a sewing needle and black thread from his gym bag, and then sutured his palm back to his hand. It hurt just to watch! Once he had mended his hand, he returned to the auditorium and completed the meet. Although the injury would have been excruciating to almost anyone, Yoshi never mentioned it nor did his performance indicate that he was injured. After the meet (which he won) he was interviewed on national television. The interviewer noticed that Yoshi's hand was seriously injured, and asked him about it. This would have been a perfect time for Yoshi to be recognized for his courage and dedication; however, Yoshi flat out denied that he was injured. It was as if being injured was a sign of weakness -- a sign that he was like just any other human being. Like Yoshi, some athletes will participate with pain and injury, but unlike Yoshi, they will let everyone know that they're hurt. From a purely psychological standpoint, this type of behavior significantly decreases the pressure to perform well, because if the athlete fails, he has a legitimate excuse -- his injury. Many times, because of the decrease in pressure and expectations of the audience, the athlete may do better than he expected. However, the reverse can occur with athletes who perform better under pressure. The severity of the injury, of course, has a lot to do with the athlete's performance. If the injury is crippling, it is doubtful that the athlete will be able to perform, let alone perform well. However, I have observed such a feat. A powerlifter we were working with named Tommy Dopson had been training for months for the Georgia Iron Man Championships which were held near Statesboro, Ga. It was at these championships that Tommy planned to go for his Master's rating. He had worked super hard for the meet, and had sacrificed just bout everything -- including a semester at school. At the meet, Tommy seemed relaxed and confident. Tommy's squats and bench presses went just as planned. In fact, going into the deadlift Tommy looked like a shoe-in to get his Master's. All he had to do was pull a 530 deadlift -- a weight that he had pulled many times before. However, on his first attempt with the weight, Tommy ripped a muscle in his lower lumbar region. He immediately fell to the platform with a severe back spasm. He was then carried to the dressing room so that he could get medical attention. It was obvious that he was in extreme pain, and just as obvious that his bid to go Master would have to wait, but Tommy refused to give up his goal. Tommy, who was trained in self-hypnosis, was able to hypnotize himself and induce hypnotic analgesia -- thereby removing the sensation of pain from his back. Moments later, against everyone's judgement, he returned to the platform and showed no sign that he was experiencing any pain whatsover. During the time interval between Tommy's injury and his return to the platform, the bar had been raised to 540 lbs. To be honest, we didn't believe that he could pull the weight. Even though Tommy was successful in blocking out the pain, his body was still injured. To our amazement, and to the amazement of everyone else, Tommy pulled a hard, legitimate lift. As he said later, "The pain of not trying would have been much greater than the pain from my injury." Of course, what Tommy did was extremely dangerous, and we certainly do not advocate such measure. By continuing to lift, he could have injured himself further. Pain is a warning that something is wrong. To ignore such a warning can be self-defeating. Still, many lifters continue to lift while injured or experiencing pain. The fear of atrophying, falling behind the competition, losing strength and power that was developed over months of training are just a few of the reasons why some lifters push themselves in spite of pain. 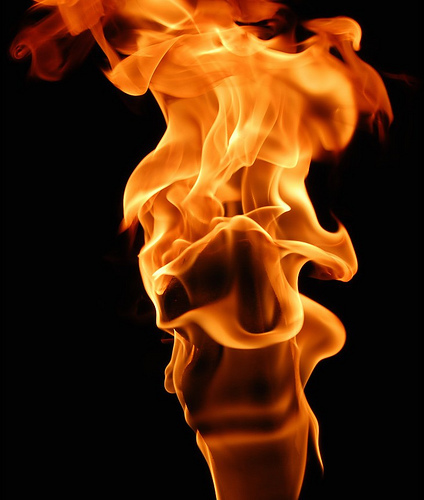 There are four different senses associated with the skin: pressure, warmth, cold, and pain. Specialized receptors in the skin have been identified for each of these senses with the notable exception of pain. That is, when a temperature receptor in the skin is stimulated, impulses travel over nerves to the spinal cord where they ascend to the brain. Then they reach the sensory area or the parietal love, they give rise to a temperature sensation. In fact, electrical stimulation of this area of the brain will produce temperature sensations even though the skin has not been stimulated. But no one has discovered a specialized receptor in the skin for pain, and unlike other senses, there is no area on the cerebral cortex which gives rise to sensations of pain. So how do pain signals get started? Some of the axons of nerves in your skin have a fatty sheath around them (myelinated fibers) and are thus insulated. This insulation affects the speed of the nervous impulse -- making it many times faster than other impulses from fibers which are not insulated. The unmyelinated nerve fibers of your skin are relatively slow to send their impulses to the spinal cord. Interestingly, when the slow fibers are intensely stimulated they produce a sensation of pain, whereas, stimulation of the fast fibers produces a pressure or temperature sensation. (The research procedure involves sticking a micro-electrode into the fiber, stimulating it electrically, and observing what happens.) It is the relative amount of activity of fast and slow fibers that determines whether or not pain messages will get through to the brain. 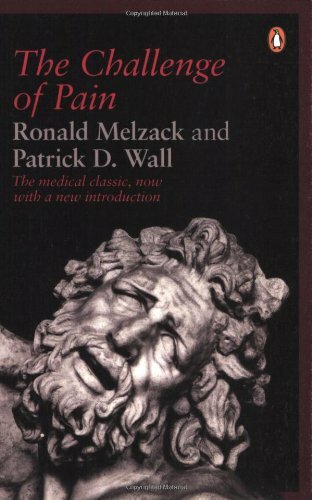 Physiological psychologist Ronald Melzack and his associate Patrick Wall (foremost researchers in the area of pain) have proposed that there is a kind of neurological gate in the spinal cord which determines whether or not you will experience pain. If the fast fibers are active, then this blocks of closes the gate so that the pain messages arriving via the slow fibers will not get through. Thus, the individual feels no pain. If, on the other hand, there is little fast fiber activity (especially if the fast fibers were destroyed), then even slight slow fiber stimulation will cause pain. According to Melzack and Wall, the spinal gate can be affected by higher centers in the brain. The descending fibers in the spinal cord run from the brain down through the spinal cord. The descending fibers can affect the spinal gate and thereby control the amount of stimulation passing through. The perception of pain depends not only on stimulation of pain fibers, but to a great extent on what the rest of the nervous system is doing. For example, we're sure that all of you have experienced painful injuries, but that you sometimes found yourself so involved in doing something that you were unaware of any pain. The key to cognitive control of pain involves this ability to control one's attention, and also control one's interpretation of the sensations which may or may not be interpreted as pain. Altering one's expectations through hypnosis, suggestion, placebos, and other psychological means can be quite effective in reducing pain. One lifter we know uses mono-idealism to block out pain during the deadlift. He quickly shouts, 'Pull! Pull! Pull! . . . Pull! ', and this preoccupation effectively blocks out pain. Psychological influences often seem mysterious to individuals because they think of mental events as some kind of ethereal force which is somehow separate from the body. But if you destroy the body, you destroy the mind. The mind is in fact brain, and although the physical mechanism which gives rise to consciousness is still a great mystery, no scientist doubts its physical basis. When we teach someone something, we are indirectly operating on the brain, changing the structure and/or functioning of neurons in a much more specific and controlled way than is yet possible with direct surgical intervention.